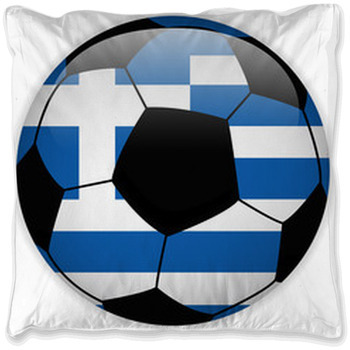 The Greek flag holds a lot of symbolism for its natives. 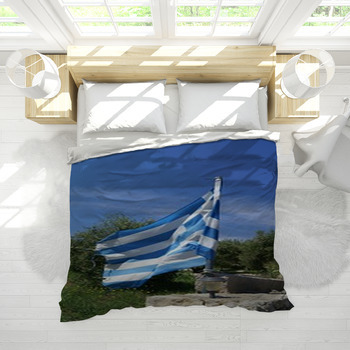 Story has it that the blue and white colors of the flag represent the waves of the sea that surround the country in all sides except the north. 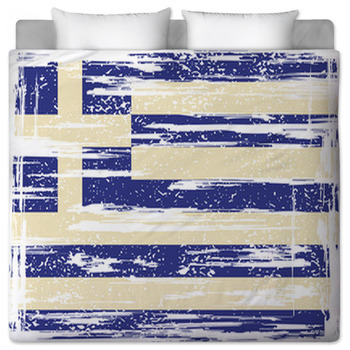 The color combination of the flag makes it perfect for use in Greek flag bedding. 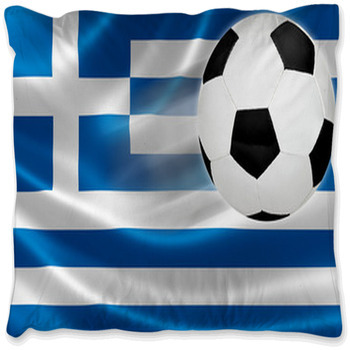 And it exhibits your love for freedom, as popular belief has it that the nine alternating stripes represent the Greek word eleytheria meaning freedom. 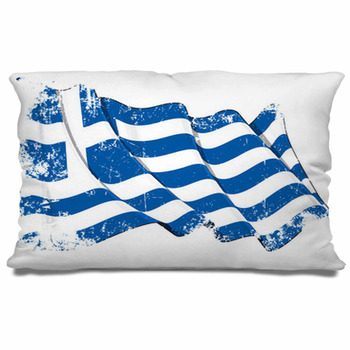 Bedding featuring the waving blue and white Greek flag is a good way to show your patriotism to your country or heritage. 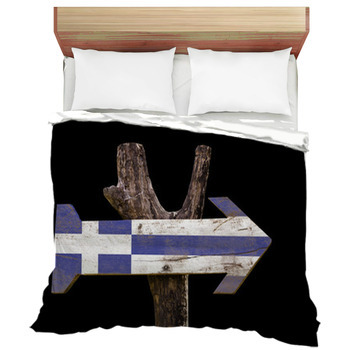 If you are interested in bedding that shows off the regal Greek flag in your bedroom, you can browse the Greek f. You can use the designs straight from our gallery or you can personalize it with your name or a slogan like eleftheria h thanatos which is the slogan used during the Greek war of independence for more personalized Greek flag bedding. 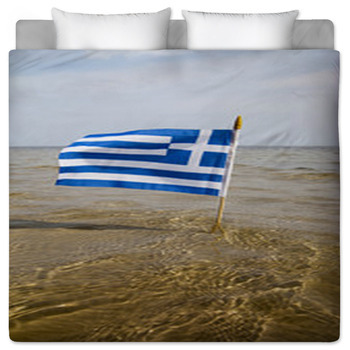 You can also have your own interpretation of the Greek flag with your favorite Greek landscape as its background for your bedding. 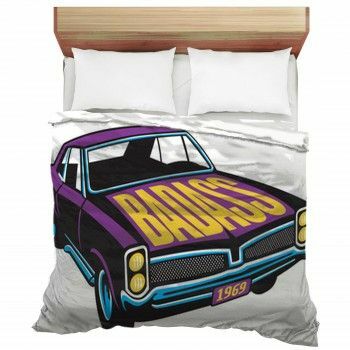 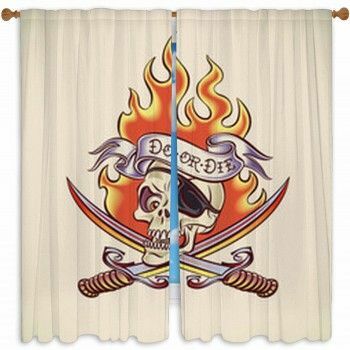 Using your design, we will be able to create custom bedding just for you. 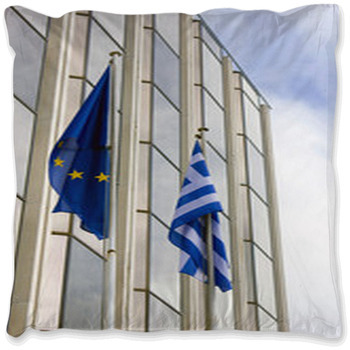 Greek flag decor is ideal in the homes of many, from Greek citizens living abroad to greek modern inspired decorating themes. 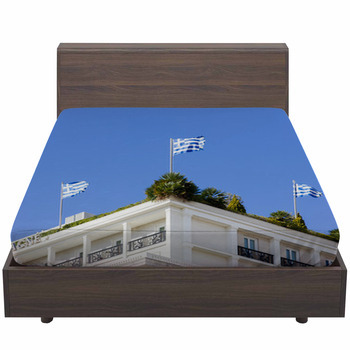 Exemplify a history that runs through the veins of each person of Greek ancestry from the ancient Greeks to modern day city of Santorini with all it's beauty and blue and white architecture. 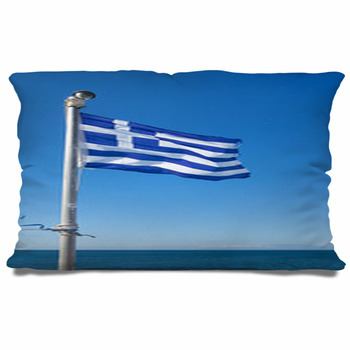 Let the peaceful sea speak to your inner being through Greek flag bedroom decor.